Lundskolen is situated in a village approx. 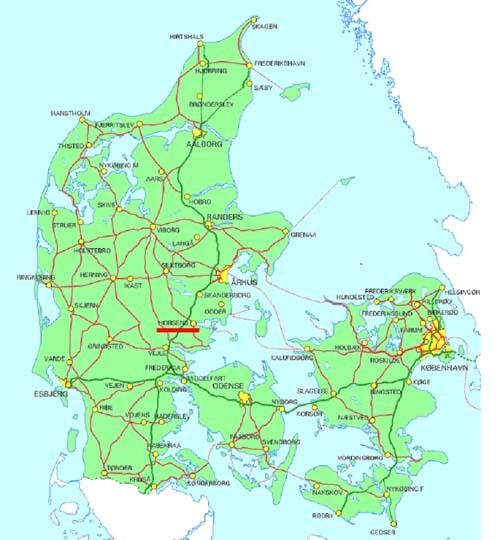 5 km from the town of Horsens, which has about 70,000 inhabitants. We are a primary and lower secondary school, with approx. 410 pupils – from pre-school (grade 0) to 9th grade (6-16 years of age). The pupils live in the village and in the surrounding rural area. Children from the nearby school in the village of Nim start at Lundskolen in 7th grade. At the school we have an After School Centre with 110 children from grade 0 to 3. The school is known for its high academic level, focus on using IT, and focus on general science and international collaboration. The school consists of an old part with mostly newly renovated facilities and a part with new buildings. In all class rooms we have interactive whiteboards and wireless Internet. The school is organised in three departments: grades 0 – 3, 4 – 6 and 7 – 9. The upper department will next year have two 7th-grade classes, two 8th-grade classes and three 9th-grade classes. The subjects in the upper grades are: Danish, Math, English, German, Physics, Chemistry, Biology, Geography, History, Religion, Social Studies and Sports. Every year we have topic weeks and days and a project period in which the pupils work in small groups about a self-chosen topic. Our exam period is in June, but it is only 9th grade which has exams.